Our motto is "Unity in commUNITY"
Our office hours are Monday - Friday 9.00 am to 4.00 pm. 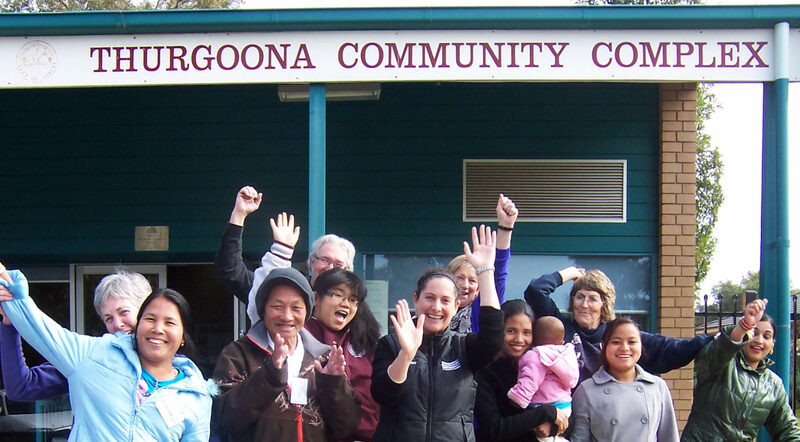 The Thurgoona Community Centre is for the well being and health of all. We provide a wide range of programs so why not see if there is something here for you? The centre is used 7 days a week between 6.00 am and 10.00 pm. It is available for hire for events and celebrations. For the young we have Child and Family Health Services, playgroups, dance and drama classes. For fitness we have boxing, cardio, Young at Heart fitness, Tai Chi, Pilates, Yoga, Line Dancing and AFL fitness. For seniors we have Social Club and Computer Classes. We have over 80 volunteers serving the community.